Good Morning! I'm so glad you stopped by! I hope this Friday is a grand one for you that moves into a long weekend full of fun and family times and adventures. Memorial Day is a time of remembrance and togetherness. A time to be thankful to those who have served our country so faithfully. 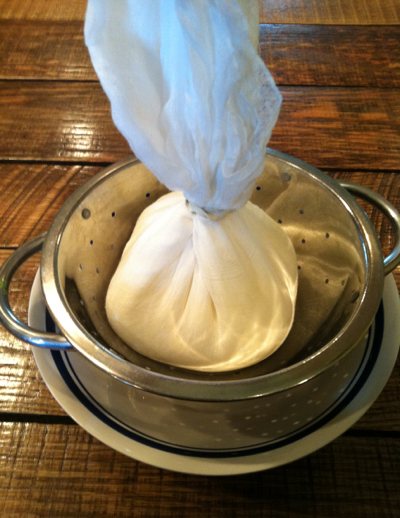 Today I am going to share with you how I made kefir cheese. It's easy! All you need is a little time to make it happen. 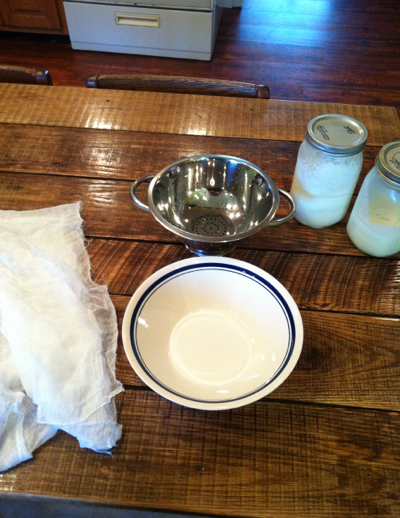 To begin with, I have some cheesecloth, a bowl to catch whey, a strainer, and my kefir. 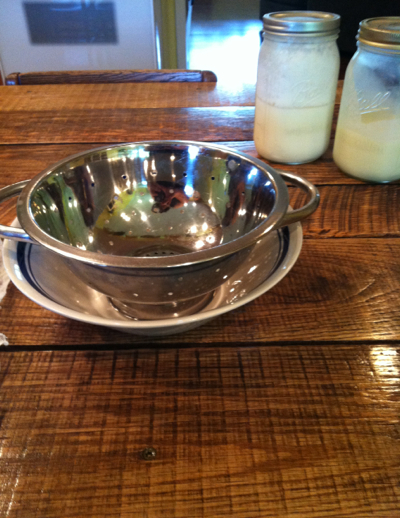 I place the strainer in my bowl. 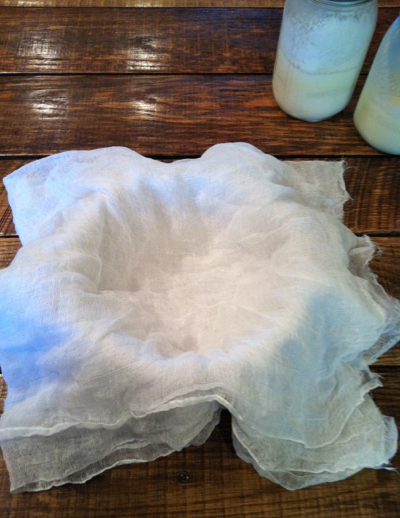 Then lay the cheesecloth over the strainer. You need this simply because you are still working with a loose solid. It may run all over the place if you don't have something to keep it steady. 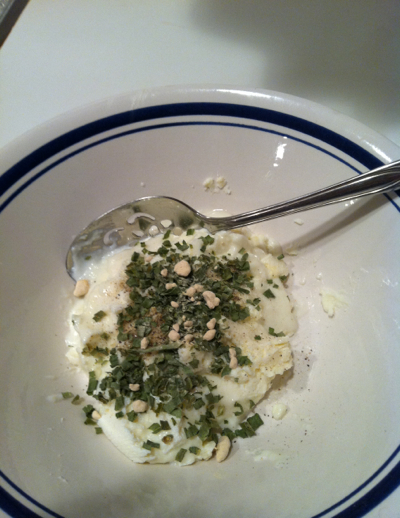 See, my kefir looks a bit like yogurt and is a bit runny in spots. 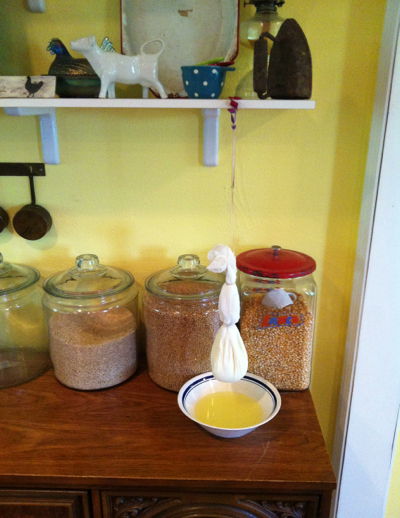 I tie up my cheesecloth, trying not to squish or smash the kefir, but to make the bag snug so it will force out the whey. Find yourself a nice place to hang for several hours. You want to drip out all the whey. It takes a while. So put it in a spot that it's not going to be disturbed. See all the whey above? It kind of astounds me just how much is in there! Here we are later that evening with the drained kefir, now kefir cheese! You can totally leave it as is or you can give it some more flavor. I've added 2 tsp chives, 1 tsp garlic powder, salt, and pepper. Mix thoroughly, and smash the clumps of garlic powder if you have to... I did. 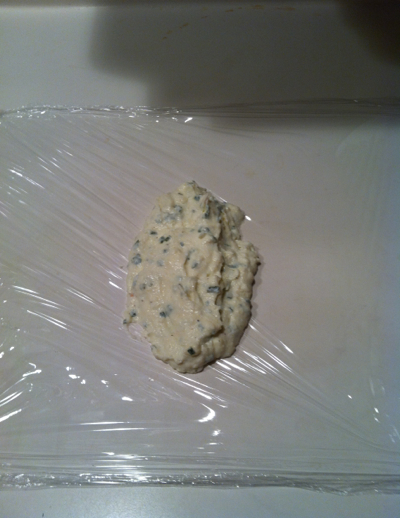 Scoop out on a sheet of plastic wrap and roll up. You can eat this on crackers, savory bagels, with veggies or chips, on a sandwich, alongside your meal. On smashed cauliflower or potatoes. Lots of ideas, lots of options! Now don't forget about your liquid gold here! Keep this! It is a valuable bi-product of milk and cheese. Whey is fantastic! It is super nutritious! 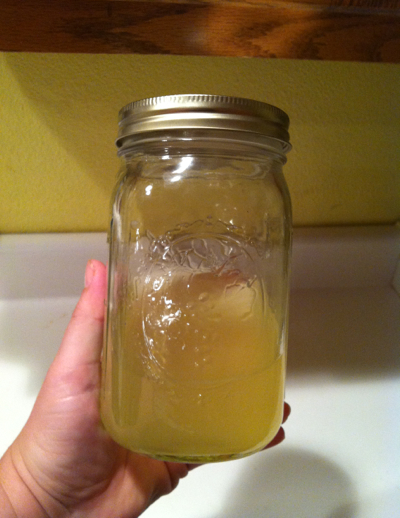 Use whey to drink (some do, I don't yet), use it for fermenting, or even feed it to your chickens! Very good for that! They will love it! So there you go! 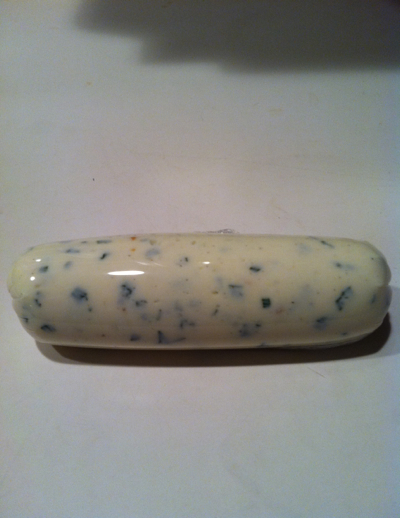 You are well on your way to becoming a master cheese artisan. :) I hope I'm well on my way too. LOL! I'm going to try my hand at feta today. I'll let you know how that goes soon. 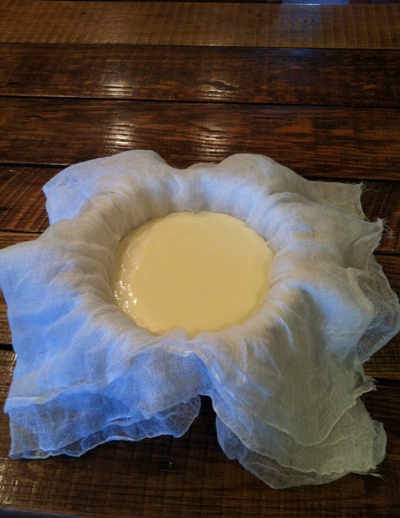 I have fermented kefir for a while now and have wanted to do cheese, but wasn't ever quite sure what I was doing. Your post cleared that up for me. It is the aging of the 'cheese' that I had somehow missed. Shaping it into a log will be helpful too. As a side note, my kefir looks whiter and not as thick. Can there be variation like that? Thank you for sharing these tips. You always keep it fresh and interesting. I am not sure about the color, my Jersey milk is very white, so it could just be the milk. There are times it gets slightly creamy yellow, but most often it is white. I let my kefir ferment til it is quite thick, almost a yogurt texture. It takes anywhere from 36-48 hours usually, sometimes a little longer depending on the temp of my house... which can vary depending on the temp outside. Yes, I do. 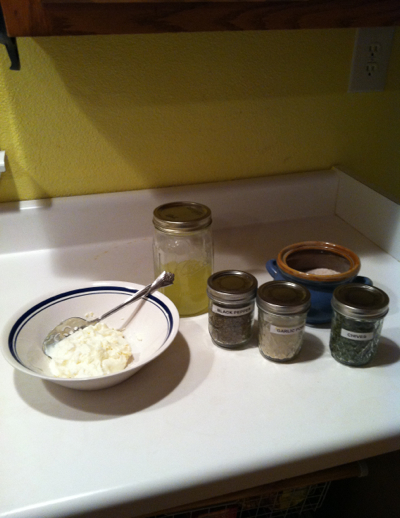 After promising this recipe to someone, I realized I never explained how I make kefir. Duh! :) I should have don't that first. I will share the process next week. And if you don't have grains, when mine double up again, I'd be happy to share with you!